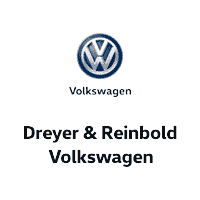 If you’re looking for a reliable, pre-owned vehicle under $10,000 in Greenwood, IN, look no further than Dreyer & Reinbold Volkswagen. We carry a wide variety used vehicles from the biggest names like Volkswagen, Ford, Toyota, Subaru, INFINITI, Chevrolet and more at highly competitive prices. Can’t find what you’re looking for? Be sure to browse our new, used and CPO Volkswagens specials for more amazing deals on reliable vehicles in the Greenwood, IN area. We’ve been proudly serving Volkswagen drivers in the Greenwood, Carmel, Zionsville, Beech Groove, Lawrence, Franklin, Mooresville, Speedway, Shelbyville, and Indianapolis, Indiana area for years now and can’t wait to help you find an amazing deal on your next car purchase.